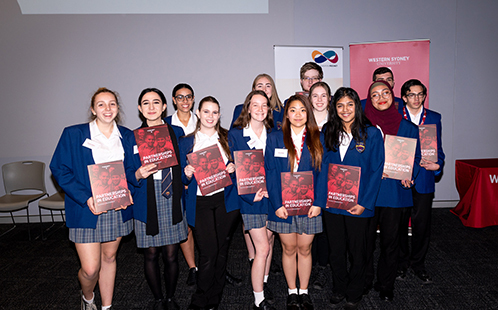 With the HSC just around the corner, 19 Western Sydney high school students have taken the chance to secure their university entrance before they even sit an exam. 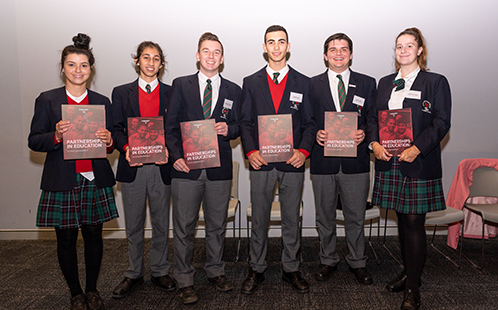 Students from Wyndham College and St John Paul II Catholic College have taken part in the Nirimba Education Program, which allows students to study a first year University subject with Western Sydney University all while completing their high school education. Students who successfully complete their subject receive pre-HSC offers to the University. Wyndham College, St John Paul II Catholic College and Western Sydney University form part of the Nirimba Education Precinct at Blacktown. The students’ achievements were recognised at a special ceremony on campus. Anne McLean, Manager of Schools Engagement, says studying a university unit whilst in high school gives students skills which help them with their HSC work, and makes them better prepared for post-school study. "These students have shown they can tackle new challenges, adapt and thrive in the university environment. It’s great they’ve been able to do this at the same time as senior high school," says Ms McLean. "It gives them a head start with their future study, and our early offers relieve the pressure that comes with the HSC"
The program has been running since 2008. This year’s talented group of students all passed their chosen subject. The results included eight high distinctions, six distinctions, a credit and four passes. a conditional Academic Excellence Scholarship offer of $5,000 per year for up to four years. During the ceremony, the awards were presented by Glenis Carroll, Executive Director of Marketing at Western Sydney University and Alan Moran, Acting CEO of The College, spoke about the achievements of the students. Both school principals also congratulated the students. Lidya Rivai from Wyndham and Matthew Graham from St John Paul II shared with guests the positive experiences they’d had studying with the University.